Steve has worked with Clarity Leadership for a number of years, enjoying great results across the different business sectors that we serve. He is a driven individual, working with clients with the express purpose of helping them to grow their business. Steve believes that every performance intervention should ultimately bring about improvements to the bottom line. It is for this reason that he will always seek to gain an understanding of exactly what it is you want to achieve before proposing a solution. In addition to his work for other global professional training and development companies, including FranklinCovey, Steve spent the early part of his career in Sales and Marketing positions, primarily in the automotive industry; for Jaguar, Vauxhall Motors and BMW. 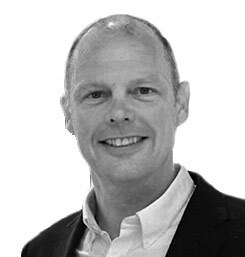 Steve has a degree in Business Studies from Aston University, a Post Graduate Diploma in Marketing from the Chartered Institute of Marketing, as well as a Masters Degree in Coaching & Mentoring, and in 2013 he became a registered Growth Accelerator Coach. Steve Bussey is a self-motivated individual in all aspects of his life. He is a regular runner and cyclist, to date, Steve has run three London Marathons. Married, with two daughters, he lives on the outskirts of Peterborough.